Charles Hollis “Chuck” Taylor (June 24, 1901 – June 23, 1969), was an American basketball player and shoe salesman/evangelist. He is best known for his association with the Chuck Tayloe All-Stars sneaker, the most successful selling basketball shoe in history. A full biography of Chuck Taylor was published by Indiana University Press in 2006. Taylor was born in Brown County, Indiana in 1901, and grew up in Columbus, Indiana, one county to the east. While in Columbus High School between 1914 and 1918, he played basketball for the Bulldogs four years, and made All-State twice, but even as a sophomore, he hadn’t yet made the varsity squad. Compared to today’s basketball stars, he was neither extremely tall (6 feet), nor particularly thin (210 pounds). Taylor supposedly played as a forward in industrial league basketball for 11 years between 1918 and 1930, for the Akron Firestone Non-Skids, the Buffalo Germans and the New York Celtics. The Buffalo Germans, disbanded in 1929 with a 792-86 record, were exceptional. Between 1908 and 1911, they had a phenomenal 111 game winning streak. The New York Celtics scored over 700 wins and fewer than 60 losses, before they disbanded in 1929 when their owner went to jail. The legendary Celtics invented the zone defense. While Taylor may or may not have played basketball on a fairly high level, he gained his fame as a promoter and salesman. According to the official story, the Converse All-Star shoe, the first shoe especially for basketball, was introduced in 1917, and Taylor started wearing them in 1918 as a high school basketball player. (In fact, A.G. Spalding had already been making a basketball-model shoe for nearly 2 decades.) In 1921, Taylor went to the Converse Shoes Chicago sales offices in search of a job. S.R. “Bob” Pletz, an avid fisherman and sportsman, hired him. Within a year, Taylor’s suggestions–fabricating the shoe differently for greater flexibility and support, and providing a patch to protect for the ankle–were incorporated into the shoe. The All-Star star went on the patch immediately, and by 1923, Chuck Taylor’s name was on the patch as the shoe became the Chuck Taylor All-Stars. Despite the fact that over 600 million pairs of Chuck Taylor shoes have been sold, Taylor didn’t get rich from it. 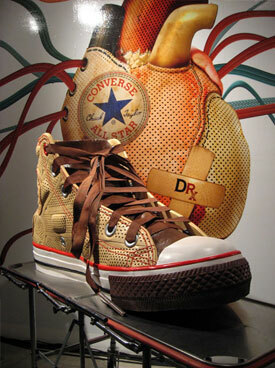 He never made a dime in commissions, only a salary from Converse. For years, he drove a white Cadillac across country with a trunk full of shoes, living in motels, and with only a locker in the company’s Chicago warehouse as a permanent residence. Author Abraham Aamidor, however, points out that Taylor wasn’t sparing in use of the Converse expense account. In 1922, Taylor began the Converse Basketball Yearbook, in which the best players, trainers, teams and the greatest moments of the sport were commemorated. A good sales tool, and in 1928, it was enlarged. In 1935, Taylor invented the “stitchless” basketball that was easier to control. Taylor promoted basketball internationally, as well, and in 1936, it became an Olympic sport. During World War II, Taylor became fitness consultant for the war effort–and by one of those amazing coincidence, GIs soon were doing their calisthenics in the white high-top Chuck Taylor sneakers that became the official sneaker of the US Armed Forces. In 1968, Chuck Taylor was named to the Naismith Memorial Basketball Hall of Fame in Springfield, Massachusetts–but he had already been named to the Sporting Goods Hall of Fame a decade earlier, in 1958. 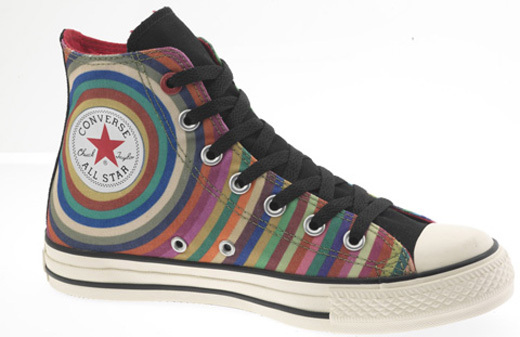 By 1966, Converse owned the sneaker market, with an 80% share of the athletic shoe market. 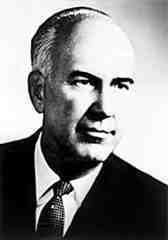 In 1968, Taylor retired. In June 1969, Taylor died in Port Charlotte, Florida of a heart attack. 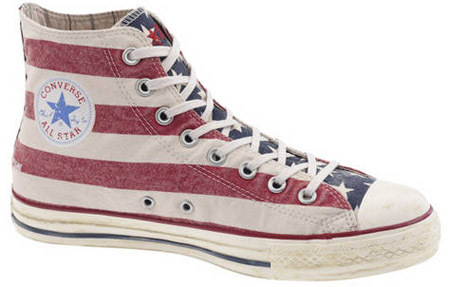 Converse started losing market share rapidly in the 1970s and filed for bankruptcy court protection in 2001. Today Converse is a wholly owned subsidiary of Nike. Charles H. “Chuck” Taylor was enshrined in the Naismith Memorial Basketball Hall of Fame as a contributor in 1969. This entry was posted in CONVERSE. Bookmark the permalink. I LOVE THIS MAN THANKYOU!!!!! !